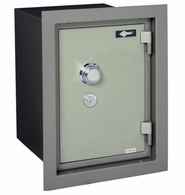 Need a wall safe with an extra deep interior and a fire rating? 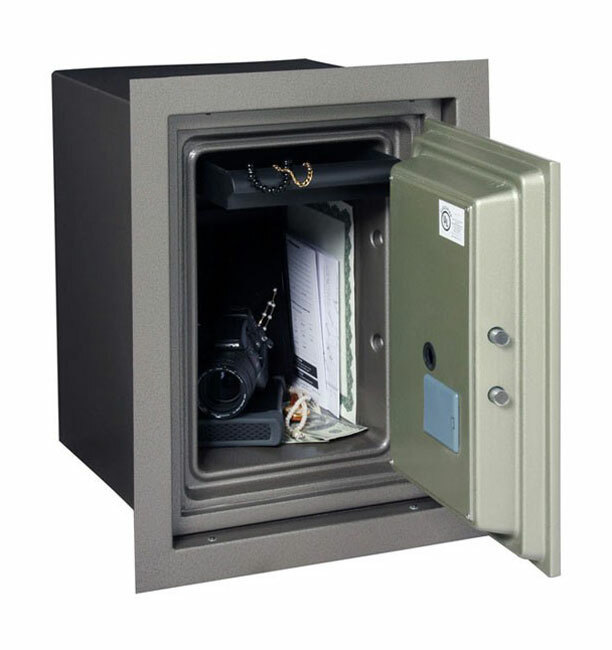 Nearly all wall safes have a simple locking mechanism and no fire rating. 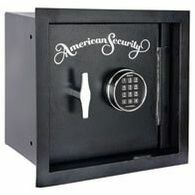 American Security products developed what just might be the most unique wall safe in the industry with the 1 hour fire resistant WFS149E5. 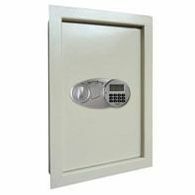 This wall safe has been UL listed and tested for a fire rating of 1 hour with an inside temperature never exceeding 350°. Paper chars at 450° making this the perfect safe for hidden storage of your most important documents, passports and other valuables that just can't get lost or destroyed. With the extra deep interior and one convenient drawer shelf for organization you'll definitely have plenty of room for all those valuables. In terms of security, this fire resistant wall safe has one live locking bolt and two solid steel deadbolts on the hinge side for protection during a pry attack. The recessed 1/2" thick, composite fire door adds another element of pry security. This recessed nature also conveniently allows the lock and handle to reside flush with the wall enabling a picture frame to easily be placed over it concealing the safe underneath. The easy to use E5LP electronic lock is easy to use, program and will perform reliably time and time again. The batteries are located on the outside for easy access and ensure you'll never get locked out. This WFS149E5 is designed for easy installation between 16" wall studs with pre-drilled anchor holes and a built-in flange that eliminates unnecessary replastering. Don't forget this safe is extra deep, 15.75" to be exact, so measure the spot you plan on installing it to be sure it will fit. 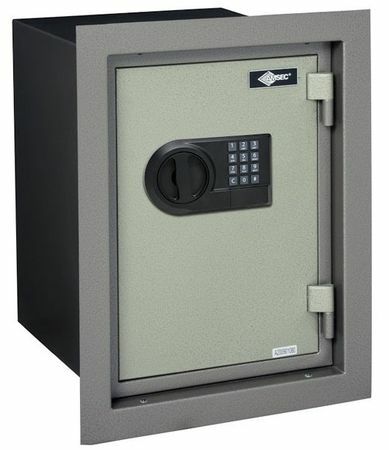 AMSEC stands behind and believes in the quality of their products by offering a 1 year limited warranty on the WFS149E5 Fire Resistant Wall Safe.